Villa del Palmar at the Islands of Loreto, the newest member of Villa Group Resorts and Baja’s first “million-star” resort, today announced that it is rolling out the red carpet for guests when Alaska Airlines begins daily flights from Los Angeles International Airport (LAX) to Loreto on February 24, 2013. The resort, which abuts one of the most pristine coastlines in the world and unobstructed nighttime views of “a million” stars, has become a popular tourist destination for travelers from the West Coast of the United States, especially for those who are looking to disconnect from their daily hassles and reconnect with one another. With new daily flights to and from the Islands of Loreto, that’s sure to bring even more tourism to the area. Villa del Palmar at the Islands of Loreto has created a series of air-inclusive packages with air travel provided by Alaska Airlines. Subject to availability, promotional air-inclusive packages start at just $149 per person, per night, based on double occupancy, plus taxes. Details are available by calling toll free to 866-209-0726. These dedicated packages include airfare provided by Alaska Airlines to the Islands of Loreto via Los Angeles International Airport and originating in multiple destinations including Seattle; Portland; Vancouver, B.C. ; the San Francisco Bay Area and the Los Angeles area. The Islands of Loreto, located on the east coast of the Baja California Peninsula on the Sea of Cortez, is known for its quiet beaches, scenic vistas, rich history and astounding natural habitats. The region caters to adventurous travelers looking to explore the many outdoor opportunities including snorkeling, hiking, fishing, diving and mountain biking, as well as people looking for a getaway where they can enjoy the beauty and authentic culture of the region without the commotion of heavily-trafficked Mexican destinations. The destination is fast becoming an alternative for travelers looking for a slower pace with all the options and amenities they have come to expect from a vacation in Mexico. For more information about Villa del Palmar and its Alaska Airlines packages, or to book, contact your preferred travel professional, visit http://www.villadelpalmarloreto.com/ or call 866.209.0726 from the U.S. or 855.440.5590 from Canada. Villa del Palmar at the Islands of Loreto is a self-contained destination resort on the Sea of Cortez, off the eastern coast of the Baja peninsula overlooking Danzante Island (one of five in the region). It features 181 new, spacious, beautifully appointed Deluxe Ocean View, one, two and three bedroom Suites with balcony or terrace, stunning ocean views, mountain views, outstanding restaurants, an attentive English-speaking staff, five swimming pools, a 39,000 square feet Spa, two tennis courts , beautiful beaches and a mild and warm climate year-round. The New York Times lists Loreto in its Top Ten Places to go in 2011. The travel article featuring the Islands of Loreto, Baja California South, Mexico ranked first among readers. Guests can enjoy scuba and snorkeling tours in the protected Marine Park within the five prominent Loreto Islands, horseback riding, swimming, world-class fishing (catch a Dorado and bring it home to have a Villa del Palmar at the Islands of Loreto chef prepare it for you), paddle boarding, kayaking, whale watching and mountain biking. With complimentary shuttle service, guests can explore the historic town at the Islands of Loreto and visit the 1697 mission that made the town famous. The area is also known for its wildlife, including the 900 species of fish off the coast and in an area that has been declared a World Heritage Site. Hotel perks include a spa and fitness center, massages, salsa dance lessons and movie nights for children. Mazatlan welcomes more than 300,000 domestic and international tourists to participate in the 115th annual Carnival to celebrate the city’s longstanding traditions and vibrant culture. 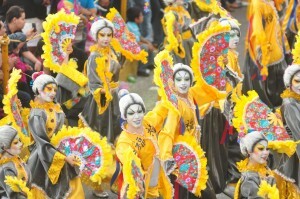 Ranked by Forbes as one of the world’s biggest celebrations – third to Rio and Mardi Gras – Mazatlan’s Carnival brings together local and regional musicians, dancers and entertainers in a week-long, costume-filled festival, from February 7-12. This year’s Carnival expects to draw record tourist numbers, demonstrating that Mazatlan continues to diversify and strengthen its tourism product and offering far beyond its world-class beaches to its strong cultural portfolio. Thus far in 2013, airline load factor on incoming flights from Mazatlan from the U.S. and Canada have improved an average of 20%, year on year. In December of last year, U.S. and Canada based airlines reported high passenger load factors to Mazatlan, all reaching air seat capacity over 75%: U.S. Airways (94.67 percent); Alaska Airlines (91.26 percent); Sun Wing Airlines (90.52 percent); WestJet (89.54 percent); and American Eagle (75.24 percent. Mexico’s Ministry of Tourism recently appointed El Rosario, a colonial town nearby Mazatlan, as a Magic Town – a distinction for highly cultural places in Mexico which appeal to tourists – and Mexico’s National Institute of Anthropology and History recognized Las Labradas, volcanic rocks nearby the village of Chicayota 51 km north of Mazatlan, as an archaeological monument zone. Later this month, on February 28, Mazatlan will host the NAFTA Golf Tournament for the second consecutive year and welcomes more than 150 professional and amateur golfers from United States, Canada and Mexico. Mazatlan is a thriving cultural destination in southwest Mexico known to many as “the Pearl of the Pacific.” Set at the foot of the Sierra Madre Mountains on a peninsula that extends into the Pacific Ocean, Mazatlan is one of the Mexican Riviera’s premier resort areas and has become a popular retreat for the national and international community of 440,000 inhabitants. Named Travelocity’s “Best Family Beach in Mexico” amongst fierce competition, the city of Mazatlan is divided into two main areas: Old Mazatlan, or Centro Historico, and the Zona Dorada connected by a 7-mile Malecon along the beach. Recognized for its world-class beaches, golfing, gastronomy and cultural offering, Mazatlan is an ideal vacation getaway for all ages on the Mexican Riviera: you can see The Lighthouse (El Faro), the second-tallest natural light house in the world; you can experience the famous Angela Peralta Theater nearby the charming Plazuela Machado; and you can taste the exquisite gastronomy, whether a local pastry shop in Old Mazatlan or the world-famous seafood at The Shrimp Bucket. So, come try it all yourself. Go Mazatlan. And there is lots more to do while you are in town. World-class restaurants attracts locals and celebrities, or just stop by a street stand for a fresh fish taco. Here is an announcement from President Enrique Pena Nieto on a new Forestry Program. This is a great move for the environment and the people of Mexico. Today I returned to the city of Las Palmas, the capital of the beautiful state of Colima. Colima is a state where virtually all forestry activities are conducted in marginalized areas, using subsistence practices with low productivity and high environmental costs. However, it is a state with great potential for the development of sustainable forestry. So I came to this land to present the new National Forest Program (PRONAFOR), designed to improve the social and economic conditions of those living in forests and protect them. The program will be operated by the National Forestry Commission (CONAFOR), which this year will have a budget of 6,937 million pesos. The goal for 2018 is to practically double the timber production achieved in 2011 from 5.5 million 10.7 cubic meters. Our forests and jungles generate large benefits: they prevent soil erosion and loss; generate water; purify the air; capture carbon and produce timber. If we exploit them rationally and sustainably, forests can be a great source of wealth for those who live in them. 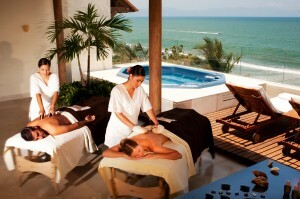 (February 1 , 2012) – The luxury all-inclusive Grand Velas Riviera Nayarit offers guests 20% savings on a stay now through April 30, 2012. Also, children under 12 stay for free and teens 13-16 enjoy a 50% savings rate. In addition to all-inclusive rate features, the promotion includes kids club activities, 10% discount on resort boutique and $50 credit that can be used toward golf or spa treatments. While at the resort, hotel guests can take advantage of Grand Velas Riviera Nayarit’s special 10th Anniversary Spa Menu, where guests choose from the Spa’s 10 most popular treatments from the past 10 years and receive an additional 25-minute massage (Back, Legs, or Face & Head) for only $10. Offered through the end of December, treatments range from the Four Hand Samunprai Massage, to the Magnetic Diamond Treatment and Men’s Facial. 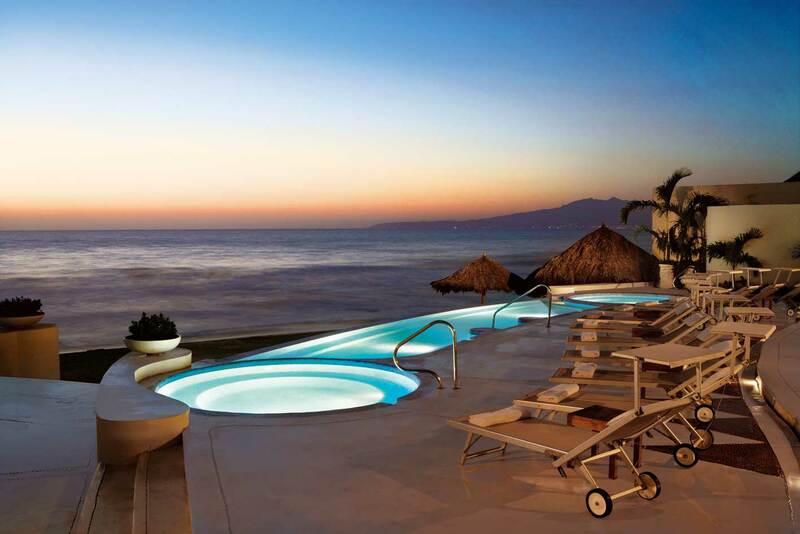 The Velas Resorts’ all-inclusive rates include suite accommodations, a la carte gourmet meals at a choice of specialty restaurants, premium branded beverages, 24 hr in-suite service, fitness center, taxes and gratuities, and more. All-inclusive rates start at $281 per person per night in double occupancy. 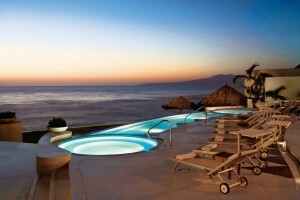 For more information and reservations, please call Velas Resorts at 1-888-323-4294 or visit www.velasresorts.com.